You guys have no idea how excited I am that it is now September! Even though it is still hot in the south, September means that crisp mornings and pumpkin spice everything is right around the corner. The leaves in my area have already started to change colors, which means the backgrounds to my photos are going to get a lot more colorful (exciting)! September also represents one of the biggest months in Fashion, with the best magazine covers featuring the best models and celebrities and my favorite week: New York Fashion Week! Hopefully by now everyone has started school (with the exception of a few) and has figured out what their "look" is going to be for this school year. I had mentioned in my post about chokers that I am so excited to see trends from the 90's coming back and the 70's seems like it is still hanging in there strong (or maybe I am just not ready to get rid of my flared pants yet). With that being said I finally purchased a button down skirt! I first saw this skirt in suede and I always thought I would purchase it in a camel color until I came across this black one. I obviously picked black because it is probably one of my favorite colors (haven't decided yet) and I can wear it with almost anything. 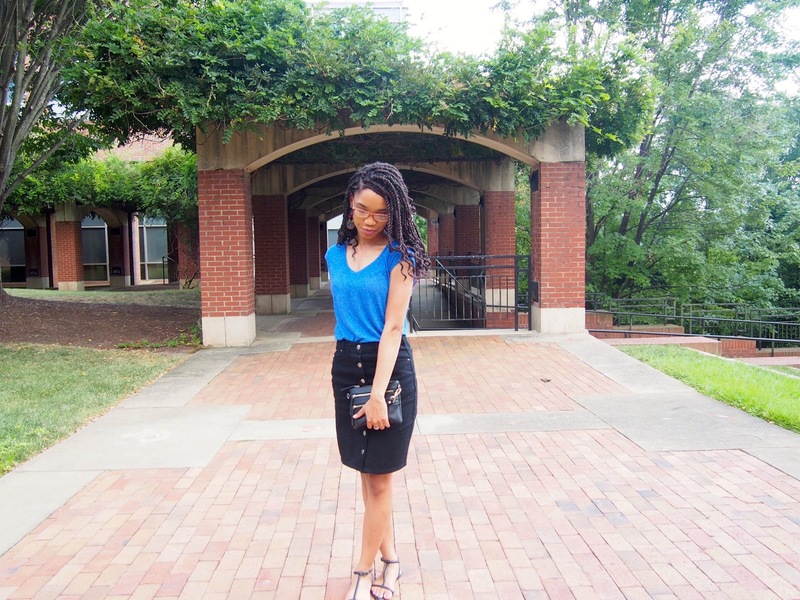 I have done a series of inspirational back to school outfits and I mentioned how I only bought about 6 shirts and one bottom, which happened to be this skirt, when I went back to school shopping. 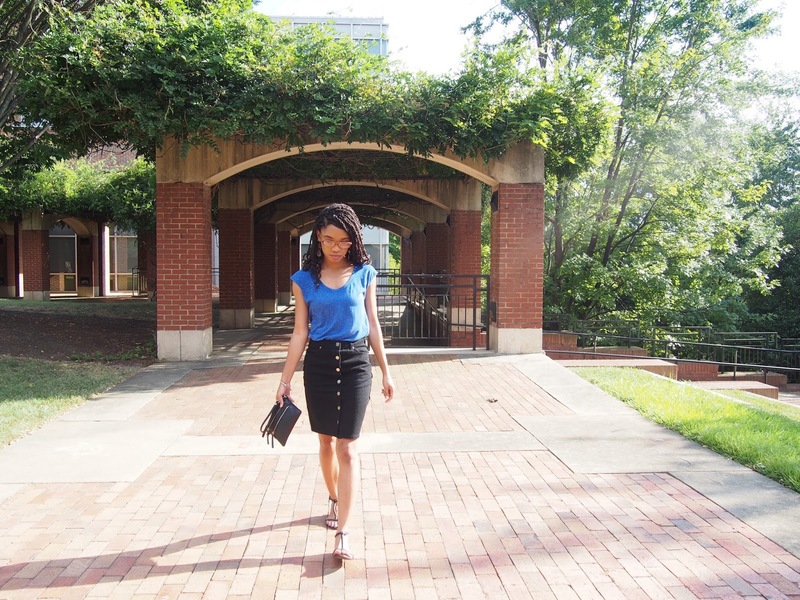 I tend to keep my clothes for long periods of time and I knew that I would be able to wear this skirt with almost all the shirts that I already own. 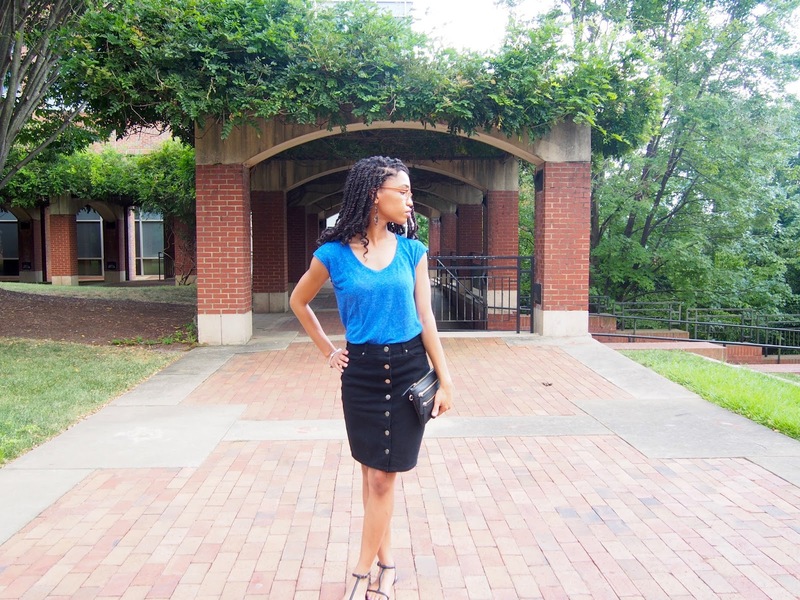 I still want a suede version of this skirt, but in an A-line silhouette. 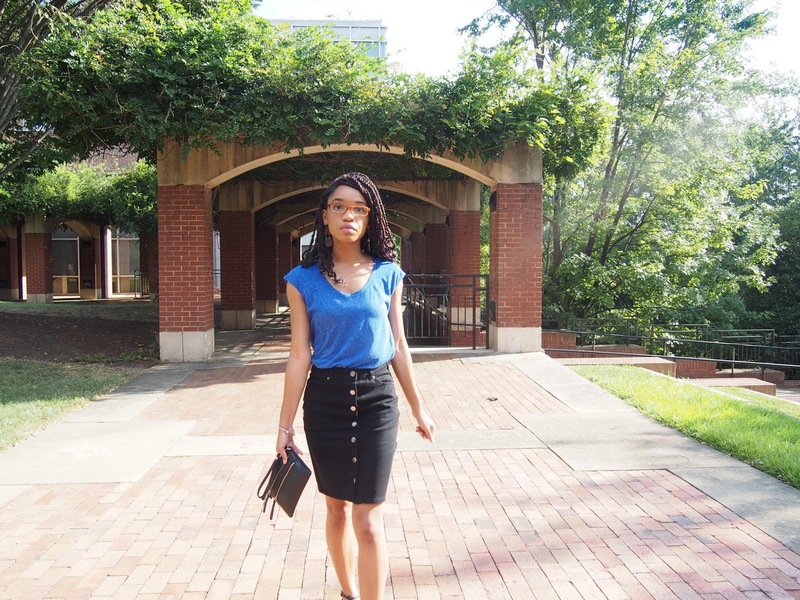 I love my black button down skirt because it follows the form of a pencil skirt instead of flaring out and I thought that was so different compared to the different styles I have seen online. 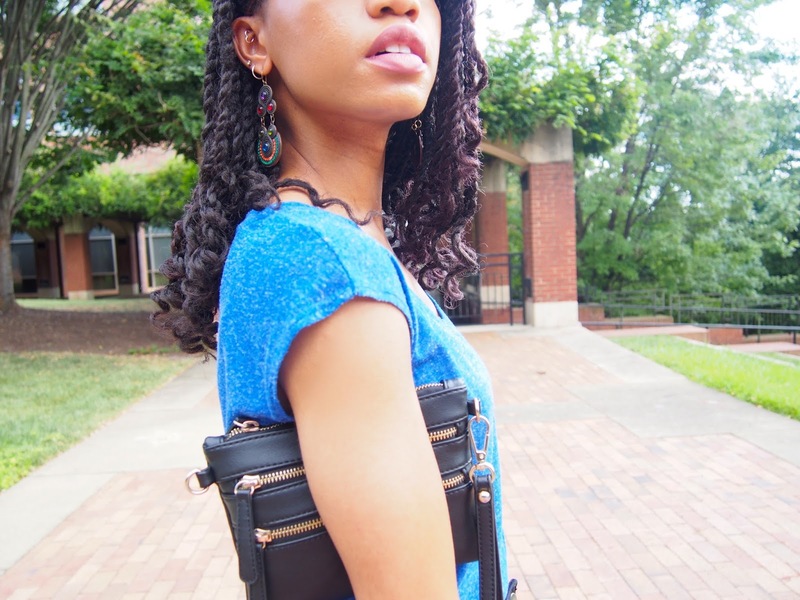 I aimed to keep it simple with my top and focus on my accessories, so a pair of dangly earrings and my go-to black clutch did the trick. I ended up buying this cute multi-colored striped sweater to go with this skirt that just screams the 90's! It will definitely be in a style post coming soon so you guys will just have to keep an eye out.